Florida is supposed to provide workers’ compensation benefits to all injured workers, regardless of their immigration status. But a recent NPR and ProPublica investigation found that a 2003 state law enables insurers to avoid paying lost wages and medical expenses to undocumented workers. However, in the State of Florida if you do not use a false social security number on any of the documents related to medical treatment for your workers’ compensation injury and the workers’ compensation claim itself including any forms sent to you by the workers’ compensation insurance carrier an undocumented worker is entitled to many of the benefits offered in the workers’ compensation system regardless of the fact that you may not have a valid social security number or a social security number at all. 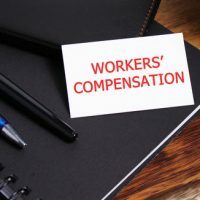 It is very important that you contact a workers’ compensation attorney in the State of Florida immediately following your accident to help guide you through the process of the workers’ compensation claim. Ultimately, the attorneys at Ganon & Hessen, P.A. will fight on behalf of lost workers to ensure they are paid lost wages. Just because a worker is undocumented, this does not prevent them from receiving compensation benefits including medical treatment and monies related when an undocumented worker is on a no work status. Undocumented workers are also eligible to receive impairment income benefits, which consists of money benefits awarded once a doctor places them at maximum medical improvement. These workers are also entitled to out-of-pocket prescription expenses and mileage to and from all authorized medical appointments. Finally, it is important to note that undocumented workers are even eligible for workers’ compensation benefits if they secured the job with a false Social Security number, or if they do not have an SSN at all. However, they cannot use a false SSN in any of their workers’ compensation claim forms or for any other related purpose including the intake forms for the authorized treating physicians in the workers’ compensation claims or treatment related to the initial hospital visit . Contact one of our workers’ compensation attorneys at Ganon & Hessen, P.A. today if you have been injured on the job in West Palm Beach, regardless of your immigration status. We will help recover the compensation that you are entitled to receive under Florida law. We will also keep abreast of any changes to the law that may affect your rights as Florida workers.